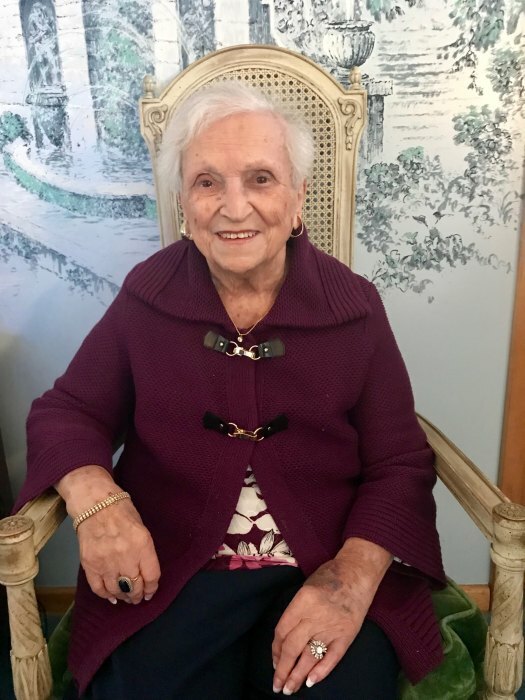 Diana Van Doros (nee Verlaney), 91, of Bath Ohio passed away on April 4, 2019. Preceded in death by her parents, Philip and Eleni Verlaney; daughter, Annette Van Doros Adams; and sister, Catherine Sardone; Diana is survived by her loving husband and soul mate of 68 years, Bill; daughter, Debra (Mitchell) Lucas; sons, Denis (Jeanne) Van Doros and Thomas Van Doros; son-in-law, Nicholas Adams; precious granddaughters, Jennifer (Wade) Gottschalk, Melissa (Frankie) Lohmier, and Nicole Adams; great-grandchildren, Camryn and Franklin Lohmier and Hailey Gottschalk; sisters, Evelyn Wagner, Roseann Phillips; sister-in-law, Penny Van Doros; along with many nieces and nephews. Her children, grandchildren and great grandchildren have always been the center of her life and have brought her much pride and joy. Diana graduated from West High School in 1946. She devoted her life to helping others and the Annunciation Greek Orthodox Church; she had a passion for baking and baked at the church for over 40 years, along with volunteering in the annual festival for 40 years. She volunteered for the Red Cross, for 42 years, she was also a voting booth worker for 35 years. Diana was a proud member of the Philoptochos Society, Friends of Children's Hospital, Sigma Delta IOTA (GGG), Ladies American Albanian Club and Bath Delta Garden Club. Bill and Diana loved traveling the world and were blessed to have visited 74 countries.